Raleigh, N.C., boasts a vast amount of locally-owned restaurants and many flavors of cutting-edge Southern cuisine. We chatted with Jason Smith, chef-owner of 18 Restaurant Group and Raleigh native, to bring you the fresh scoop on his restaurants. Chef Smith&apos;s restaurants cater to visitors with exceptional customer service and seasonal dishes that include local and regional ingredients. Can you provide a little history of the 18 Restaurant Group? 18 Restaurant Group was founded in 2006 with the opening of 18 Seaboard in downtown Raleigh&apos;s Seaboard Station. Five years later, after an expansion at 18 Seaboard, we opened Cantina 18 in Cameron Village and a few years later added Harvest 18. Our restaurants are seasonal chef-driven, meaning we focus very heavily on local ingredients to prepare our dishes. What&apos;s new at Cantina 18? Cantina 18 just underwent a major expansion adding a second floor and major improvements on our original space. We added large windows that open up to the outdoors creating a space that is light and airy. We also added a private dining space that is great for groups of 20 to 40, and for larger groups we are offering the entire upstairs, which works perfect for groups from 40 to 120. 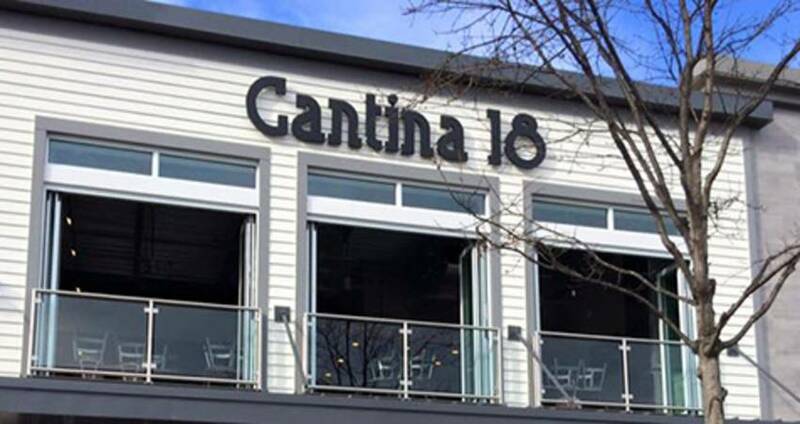 What&apos;s a menu item visitors must have when dining at Cantina 18? We are very much known for our fun, chef-driven tacos, for example our grilled chicken taco is finished with fresh apples, local goat cheese and craisens. Our braised beef short rib taco with pickled corn and chipotle cream is popular on the menu. For starters, our goat cheese guacamole has a huge following and is prepared with local goat cheese from a producer located about 40 miles from Raleigh. What makes Cantina 18 unique to Cameron Village and Raleigh? I shopped in Cameron Village as a child and have been a merchant there for the last five years, which is something I feel is a real privilege. I love the open, airy, contemporary space we offer our guests as well as our emphasis on local ingredients we use to prepare our dishes. We are one of the only restaurants to offer private space in Cameron Village as well.